The Idaho Department of Water Resources is soliciting water-rights claims for the Palouse River Basin Adjudication by sending about 8,000 notices to property owners. Palouse is the second of three planned phases of the Northern Idaho Adjudications that began in March 2017 with the Coeur d’Alene-Spokane River Basin. 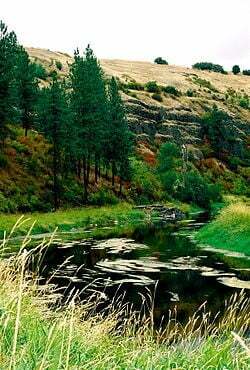 The Palouse Basin lies primarily in the western part of Latah County bordering Washington state. It includes Moscow, Potlatch and Genesee. IDWR plans to catalog and confirm all Palouse Basin surface and ground water rights, and eventually file a director’s report detailing its recommendations to district court on elements of each water right. The department said in a news release that it is mailing notices to every property owner because the location of many existing water users in the area is not known. IDWR, which has records for about 330 water rights in the basin, said it expects up to 2,000 claims to be filed. A claim notice is required for all water uses, and the deadline to file claims without a late fee is Aug. 30. Owners of small domestic or stock water rights may wait until later in the process, though litigating a deferred claim in the future likely will be more expensive, IDWR said. No claim is needed from property owners or water users who do not own the water right, or from users who receive all their water from a city, irrigation district, water utility district or company. A water-delivery organization typically files for the water right used by all customers. Contact: Idaho Department of Water Resources Regional Manager Doug Jones, 208-762-2800.